City Palace Udaipur is one of the most beautiful palaces in Rajasthan. The palace have number of different palace inside of which Dil Kushal is one of them. Dil Kushal is considered as Women's section in the City Palace. It is one of the large area of the City Palace built for royal ladies which was added by Maharana Karan later on. On its southern end, there is a Zenana Mahal, the palace of queens. 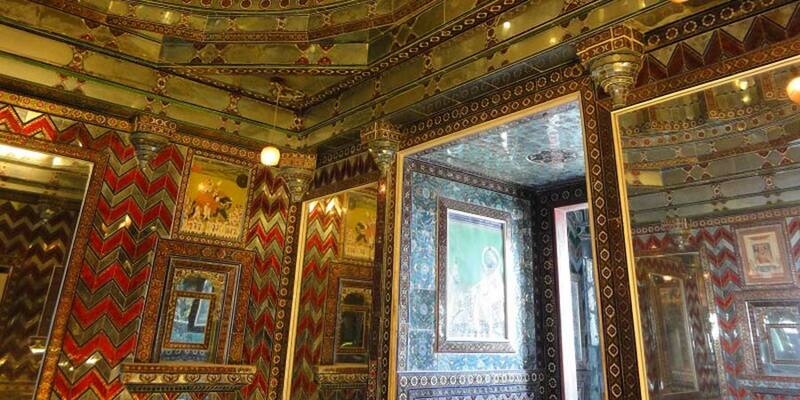 Dil Kushal has well decorated interiors with the mirrored glasses work and floored with white marbles. This luxurious palace overlooks Lake Pichola and consists of beautiful gardens and lawns. By Road: Dil Kushal is located in the city palace complex on the shore of Lake Pichola of Udaipur city. One can easily reach here with local taxi, private buses or cab. By Rail: Dil Kushal, Udaipur is well connected through nearest Udaipur Railway station to major cities railway stations like Delhi, Agra, Mumbai, Chennai, Bikaner, Jodhpur, Jaipur, Ahmedabad. By Air: Dil Kushal can be reach through nearest Udaipur Airport which is well connected with regular domestic flights to Delhi, Kolkata, Mumbai, Ahmedabad, Jodhpur and Jaipur.